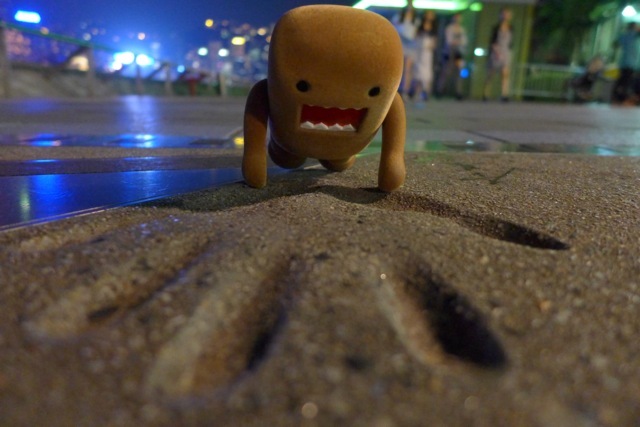 A short walk along the Victoria Harbourfront took Domo and Pipkin to the Avenue of the Stars - Hong Kong's version of the Hollywood Walk of Fame. The walk is lined with plaques and pillars honouring Hong Kong's cinema royalty. Some of the plaques have handprints and signatures set in the concrete, like this one from Jet Li. 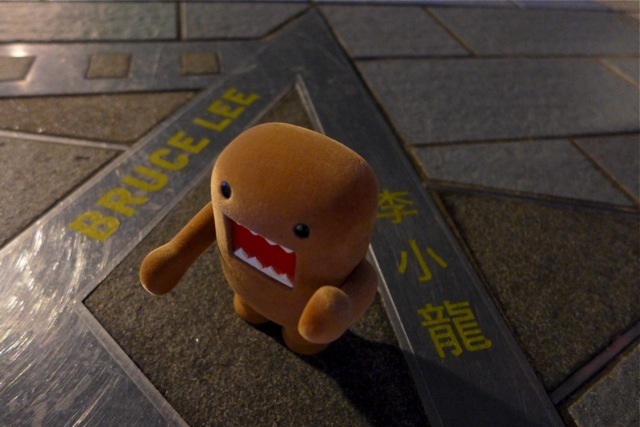 Domo could feel POWER emanating from Jet Li's handprint! 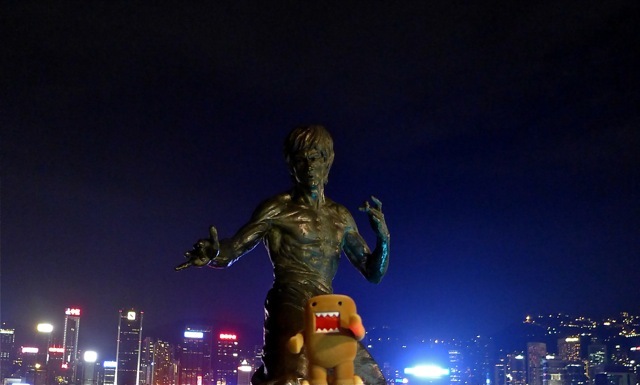 A statue of Hong Kong film star and martial artist Bruce Lee stands prominently on the Avenue of Stars. Bruce Lee was born in San Francisco but raised on the Kowloon side of Hong Kong until his late teen years. Domo's a big fan of the late legend's movies so he couldn't resist visiting Lee's star on the Avenue, and posing with the Jeet Kune Do master!